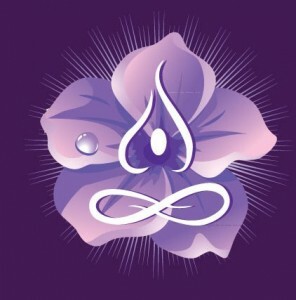 Reflections on 2013 written by Nancy Weshkoff | Moonflower Yoga Inc.
As the remaining days in 2013 start to dwindle, I have become a bit pensive as I reflect back on 2013 and what has occurred throughout the year. At the start of 2013, Moonflower Yoga was still in its infancy. Since then, the studio has grown significantly. So many students have walked through the front door of Moonflower Yoga. A lot of these were students who never tried yoga before but were coming to Moonflower Yoga to experience their first class, and I am very proud that they chose Moonflower Yoga. These students liked the small-class setting with personal attention, had a great yoga experience, and have become regular students of the studio. Our class schedule has grown to offer many options to our students so that people of all experience levels have a great place to practice. Tai Chi and Meditation classes are amongst the newer classes. We launched lots of interesting workshops on a variety of topics where people learned something new and had a fun evening. Our Moonflower Yoga Picnic at Eisenhower Park was a blast, and we had perfect summertime weather. Moonflower Yoga was the only yoga studio selected to give a yoga demo at the annual Nassau County Health and Wellness Fair. Corporate yoga has been added to the slate of offerings at Moonflower Yoga where a Moonflower Yoga instructor goes to a local office and introduces yoga as part of a corporate wellness program. We were able to give back to the community and help those in need with several charitable events. Our children’s storytelling workshop raised money for the Make A Wish Foundation. The film screening on the life of BKS Iyengar helped support the Iyengar Institute which brings yoga to many. For Thanksgiving, we helped feed 800 hungry families. And at the at end of 2013, we collected over 60 toys for the Toys for Tots program run by the USMC which donates toys to children who would not otherwise receive a holiday present. We had another successful weekend at the Bellmore Family Street Festival where over 100,000 people from all over came to Bellmore. But most important of all is our relationship with our students. I feel truly blessed each day as I greet the students arriving to attend our classes. Watching students enter the door feeling stressed from the day, and then watching them leave at the end of a great yoga class more refreshed and at peace, brings me a sense of joy knowing that we were able to help someone feel better. I am so grateful to the students, as well as my great staff of teachers, for making Moonflower Yoga a very special place. I can look back on 2013 with a smile, and I know the future will be even better. Thank you to everyone for your support! If you are in the area of Bellmore, New York, in Nassau County on Long Island, please stop by and see us. Join us as we launch another fabulous year!